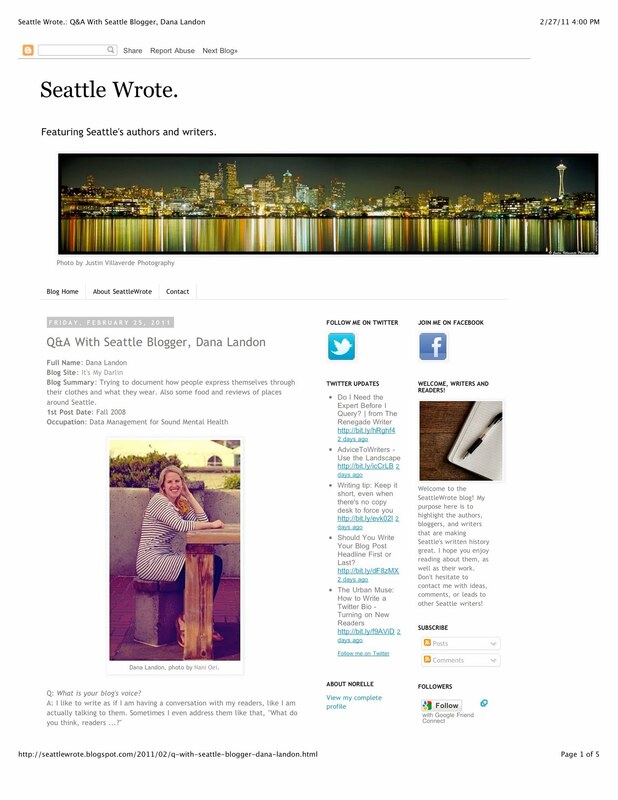 Norelle Done of Seattle Wrote interviewed me last week and the post just went up on Friday. Check it out here. Norelle has such a great thing going with this site. She is getting out there and interviewing local writers of all kinds. As a blogger I really like the questions that she asks in her Q&A's. They are exactly the things that I wonder when I read someone else's writing. How did they get started? What obstacles have they run into? What are their goals for their writing? I see Seattle Wrote being a great community for the writers of this city. Thanks Norelle!